Huddersfield Town supporters are braving the outdoors in an attempt, once again, to tackle homelessness. In the UK there are around 320,000 people living on the streets – a number which has risen by 4% in the last year. 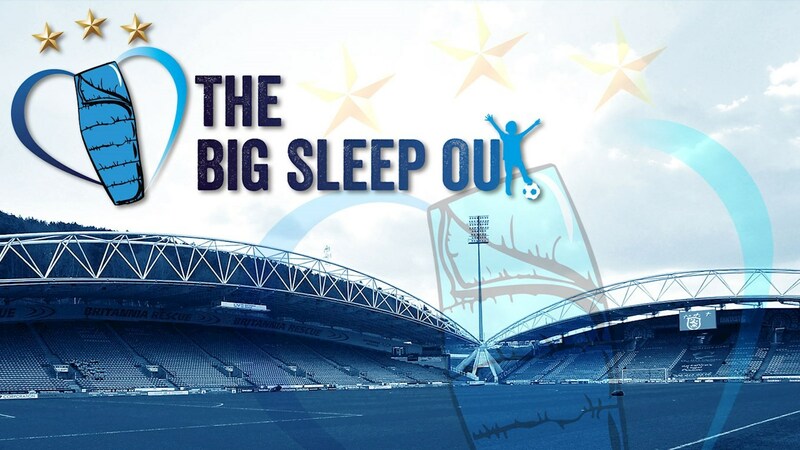 To try and help make a real difference in the local community and to tackle the issue, the Huddersfield Town Foundation is hosting its second Big Sleep Out. The event is held with the intention of raising money and awareness of homelessness especially within Huddersfield and the local area. Last year’s event raised an amazing £55k, which made a real impact in Huddersfield and the surrounding area. After such a successful debut, Huddersfield Town Foundation is aiming to smash that record this year, but to do that they need your help! The Foundation is looking for a total of 10 local businesses each sponsoring £1000; the money raised will go directly to local causes. To say thank you for your support, you will be invited to a photo call and all company logos will feature on any publicity for the event. “Sponsorship of the Big Sleep Out is key for its success. Last year the amount of support we received was overwhelming. To sponsor the Big Sleep Out or to find out more, please email Julie Sheffield – julie.sheffield@htafcfoundation.com or contact 01484 503 761.